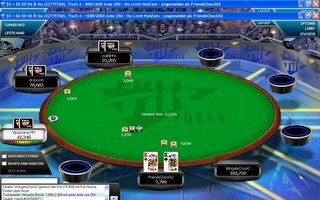 American players who are collectively owed millions of dollars from the Full Tilt Poker fiasco should expect to wait at least another year for their dollars. The Garden City Group, a claims adjuster hired by the Department of Justice to distribute $184 million owed to players, hasn’t been able to move past the first step of parsing a massive amount of player data information. According to an unnamed supervisor at GCG, the process will “most likely” take longer than a year, probably longer. In some instances, it’s taken GCG more than two years to process claims. The massive amount of Full Tilt player data is the largest obstacle currently delaying former Full Tilt Poker players from receiving money owed. Non-American players were paid last November through PokerStars, which bought Full Tilt Poker’s assets from the Government when it settled with the DOJ for $731 million last year. It’s estimated that about 1.3 million players have money caught in this net. To further complicate things, GCG has to work with two Federal agencies – the Asset Forfeiture and Money Laundering Section of the DOJ and the Asset Forfeiture Unit of the United States Attorney’s Office for the Southern District of New York. The great unknown, in a case of great unknowns, is just how much money the players who take part in the claims process will receive. Once all the player account information is processed and the players are accounted for, the GCG will create a formula called “estimated recovery.” This calculation will determine just how much money each U.S. player will receive. Players outside of the U.S. received 100 percent of their currency from PokerStars. But GCG doesn’t have any information as to how this will be determined. This matters greatly to poker players, especially players who are waiting for large amounts. Whether GCG has the ability, or even desire, to distribute the exact amount each individual is owed is a mystery. As far as GCG is concerned, it has to distribute approximately $184 million to people listed in the data provided. They simply aren’t at the point in the process when the amounts that should be paid to each player will be determined. The supervisor said that since they are so early in the process, they haven’t received any kind of direction from the DOJ or the Attorney’s Office about how the recovery estimate should be calculated. After GCG parses the massive amount of player information, the claims process will actually begin by contacting the players who choose to take part in the repayment process. Players can register at www.fulltiltpokerclaims.com. After the “estimated recovery” amount is determined, GCG must receive a court order to actually distribute the money. Only once GCG receives this order will the money be distributed. How long that will take is anyone’s guess. The supervisor had no idea when GCG will begin contacting players and was reluctant to give any hardline estimates as to when the first step of compiling player information will be complete. GCG was named the distributor in March. And who is paying Garden City Group? Will the gov't pay them out of gov't funds? Or will they dip into the player fund pool and deduct their fee before paying out the players, thereby reducing the amt the players receive? Wall Street gambled egregiously with the national economy and yet, not a single WS executive has been held responsible for the financial carnage. When it comes to big shots (WS that distributes funds to politicians, etc.) who can push back, the gov't is like a kitten. But when it comes to poker players (common folk), who cannot push back, the gov't acts like a pit bull. the rumor on las vegas boulevard is that the us government will pay off the ftp players only after the government pays off the national debt. It was so easy with NETELLER when we got our refunds with them, why so hard with FTP? OH YEAH THE GOVERNMENT! man this is like getting kicked in the nuts , having someone help u up and then have them kick u in the nuts again. this is so stupid it is almost funny. almost. Poker stars would have paid us back in a couple of weeks. well I have finialy come to grips that we are getting nothing back. Btw do not put any money on lock poker. I have been trying to get my funds out of them for 2 months. all they had to do is send me a check. so far it is 2 months and counting. all I get from them is the payouts are taking longer than expected. This is the last on line site I am ever putting money in. I guess im just so stupid that I did this a 2nd time.